Plastic Prototyping, Injection Molding, Machining Diversified Plastics, Inc.
We offer four different plastic prototyping solutions to suit your needs. as well as to help you decide the most economical way to prototype. Your prototypes will simulate the precise look, feel and function of a final product. Ultimately, 3D printing compresses product design times and speeds final product to market, all while reducing development costs. Taking PolyJet 3D printing technology to the next level, we are able to print 3D mold components. 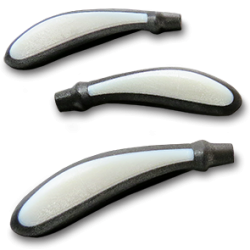 This allows us the ability to produce injection molded prototype parts using the product’s final plastic material. Thanks to this innovative prototyping approach, you can save time and money to prove not only the product design, but identify possible molding issues without long lead times. A remarkable level of detail and final-product realism can be accomplished with over 120 types of materials. Up to 14 types of materials can be printed simultaneously in a single part. If only a few samples are needed to test the fit, form and function for a material similar to the design material, machining may be the best way to go. Our machining department is capable of supplying a quick turnaround of those machined parts. 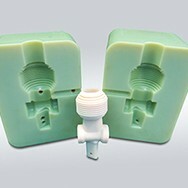 If molded samples are needed in the specific design material because the molded-in stress could affect the function tests, we can provide a prototype or limited quantity molds in a hurry. 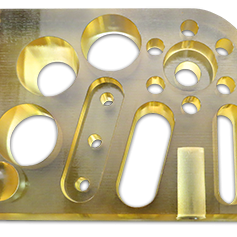 Actual lead times will vary depending on the complexity of the part design. However, we have been able to supply tools in just two to three weeks. 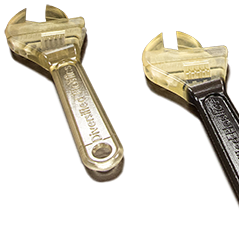 With our single-source concept, Diversified Plastics is able to help with part design, build the tool, run sample parts and provide a fully dimensional first article report. Diversified Plastics. has partnered with a rapid prototype house to supply FDM samples. This process heats plastic material and pushes it through a controlled nozzle. 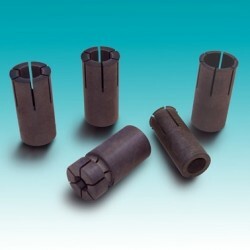 The advantage of FDM is that the resins used in this process more closely match injection molding grades. Thus the parts will function in a similar way as the molded production parts. Whatever your prototype requirements, we have the experience and expertise to fulfill your plastic prototyping needs.